Administrative Law Judge Deidre L. Johnson, Office of Administrative Hearings (OAH), State of California, heard this matter in East Palo Alto, California, on April 20 through 24, 2009. On April 24, 2009, District’s motion for a continuance was granted. The hearing was completed on June 4, 2009, in Oakland, California. Student and her parents (Parents) were represented by Brenda Shum, Attorney at Law, and Elizabeth Jansma, Certified Law Student with the Youth & Education Law Project of Mills Legal Clinic, Stanford Law School. William Koski, Director of the Youth & Education Law Project, was present for most of the hearing. Student’s father (Father) and brother were present throughout the hearing, except for the last day. Student and her mother (Mother) did not attend the hearing. An interpreter provided English/Tongan language interpretation services to Father during the hearing. Ravenswood City School District (District) was represented by attorney Eugene Whitlock, Deputy County Counsel, San Mateo County Office of the County Counsel. Linda Lee, Director of Special Education for the District, was also present during the hearing. Parents filed their request for a special education due process hearing (complaint) on behalf of Student with OAH on November 17, 2008. On January 23, 2009, OAH granted Student’s motion to file an amended complaint, and all statutory timelines recommenced as of that date. At hearing, oral and documentary evidence were received. At the request of the parties, the record remained open until June 5, 2009, for the submission of written closing arguments. On June 5, 2009, the parties timely submitted closing briefs and the record was closed. On June 25, 2009, by stipulation of the parties, OAH re-opened the record to allow supplemental briefing no later than July 1, 2009, and to extend the decision due date to July 13, 2009. On July 1, 2009, the record was closed, and the matter was resubmitted for decision. Based on Student’s claim that the District has denied her a FAPE since the 2005-2006 school year, she requests compensatory education in the form of an order requiring the District to reimburse Parents for the tuition costs of Student’s placement at Arbor Bay School, a nonpublic school (NPS), for the 2008-2009 school year; and to fund a compensatory prospective placement at Arbor Bay School for the 2009-2010 school year. As an alternative, Student requests a compensatory prospective placement in a “languagebased” public special day class meeting her specifications, including a small student to teacher ratio, a multi-sensory curriculum, and a certified special education teacher with training in communication disorders. In addition, Student requests compensatory related services in the form of 60 minutes per week of individual speech and language therapy, plus 60 minutes per week of small group speech and language therapy. 1 The ALJ has reframed and reorganized the issues for purposes of clarity, consistency, and organization. 2 Student does not contend that the District’s assessments in December 2008 and February 2009 were inappropriate. The appropriateness of those assessments is not an issue in this proceeding. Student generally contends that since her first year in kindergarten during the 20052006 school year, the District has had notice of, and ignored, multiple signs related to her suspected disabilities that should have been investigated and assessed. Student argues that Parents did not know or should not be held to have known of the injuries that are the basis of her claims until July 2008, when Student obtained an independent assessment revealing deficits that impeded her access to her education. In addition, Student asserts that the District failed to timely deliver an assessment plan or assess Student after parental requests in 2008. Student contends that she is eligible for special education and related services under the eligibility categories of a speech and language impairment and/or a specific learning disability. District generally contends that the two-year statute of limitations applicable to this case should be calculated from the date Student’s amended complaint was filed on January 23, 2009, precluding litigation of matters that occurred before that date. District claims that it did not disregard its child find obligations and that it appropriately addressed Student’s academic difficulties during kindergarten and first grade. District contends that, after parental request for assessment in the summer of 2008, it timely assessed Student except for delays caused by Parents. District agrees that Student is now eligible for special education and related services under the category of a speech and language impairment. The specific contentions of the parties are set forth with respect to each issue. 1. Student is eight years of age, and lives with Parents within the geographical boundaries of the District. When Student was born, in November 2000, her right arm was “crimped” during delivery. Student’s right arm lacks extension and, while she tries to write with her right hand, she has also learned to write with her left hand as a result. 2. Student was first enrolled in the District in kindergarten for the 2005-2006 school year when she was about four and a half years old. She did not attend preschool prior to entering kindergarten. 3. When Student was enrolled in school in the District on August 30, 2005, Parents completed the District’s New Student Registration form. The form included a language survey section with four questions. Father answered the questions to inform the District that Tongan was the language Student first learned to speak; Tongan was the language he spoke most frequently to Student; English was the language Student most frequently used at home, and that Tongan was the language most often spoken by the adults in the home. Mother and Father primarily spoke the Tongan language to each other in the family household, and spoke both English and Tongan to their children, including Student. 4. Based on the above information from Parents, the District enrolled Student in kindergarten as an English language learner (ELL) as required by state law. 5. A child with a disability has the right to a FAPE under the Individuals with Disabilities Education Improvement Act (IDEA) and California law. FAPE is defined as special education, and related services, that are available to the student at no cost to the parent, that meet the state educational standards, and that conform to the student’s individualized education program (IEP). 6. Under the IDEA and California law, a school district has an affirmative, continuing obligation to locate, identify, and evaluate all children with disabilities residing within its boundaries, and to have policies and procedures in place to actively identify pupils suspected of having a disability. A school district’s obligation as to a specific pupil is triggered when it becomes aware of a reason to suspect a disability. 7. Student contends that, for the 2005-2006, 2006-2007, and 2007-2008 school years, she has been eligible for special education services with a speech and language impairment and or a specific learning disability.4 Student asserts that Parents did not know the facts underlying her claims of eligibility for special education until they learned of the facts when she was assessed by the Children’s Health Council (CHC) in July 2008. District contends that Parents knew or should have known that Student had deficits as early as January 2006. District contends Student is therefore precluded from litigation matters that occurred more than two years before she filed her due process complaint. In addition, the District argues that Student did not qualify for special education until July 2008. District also asserts that school staff did not know or suspect that Student had a disability until Parents sent them an assessment report from CHC in 2008. 8. California law requires that a request for a due process hearing be filed within two years from the date the parent knew or had reason to know of the facts underlying the basis for the request.5 A claim accrues for purposes of the statute of limitations when a parent learns of the injury that is a basis for the action; that is, when a party is aware of the facts underlying a supposed disability that would support a legal claim, not when a party learns that he or she has a legal claim. 4 The 2008-2009 school year is not at issue in this proceeding. 5 The statute of limitations provides for two exceptions based on misrepresentation or withheld information that was required to be provided. The ALJ ruled in the Order Following Prehearing Conference dated April 14, 2009, that Student’s amended complaint did not contain claims involving these statutory exceptions to the statute of limitations. Student did not move to amend the complaint, and these exceptions are not at issue in this proceeding. 9. Student’s original complaint, filed on November 17, 2008, stated all of the problems set forth in the Issues section of this Decision, with the exception of her claim of eligibility for special education services under the category of a specific learning disability. That claim was added in the amended complaint filed on January 23, 2009. Thus, applying the statute of limitations to the issue of Student’s eligibility for special education because of a speech and language impairment, Student may not litigate matters prior to November 17, 2006, unless Student establishes that Parents did not yet know or have reason to know of the facts underlying the basis for the complaint. Going back two years for the specific learning disability issue precludes litigation prior to January 23, 2007, unless Student establishes that Parents did not then know or have reason to know of the facts underlying that complaint. 10. Student contends that the District knew or should have known that she had a suspected disability during the 2005-2006 school year in kindergarten because she was unable to speak at an age appropriate level, did not pass the kindergarten reading and math assessment tests and got low grades, responded poorly to academic interventions, received a low score on an English language test, and was referred to the Student Success Team (SST) process based on her teacher’s concerns. In addition, Student asserts that she needed an occupational therapy (OT) assessment and that if the District had referred her for an OT assessment, her disability would and should have been discovered. Student argues that the District’s failure to fulfill its child find obligations and assess Student denied her a FAPE. 11. District contends that issues pertaining to the 2005-2006 school year are outside the statute of limitations because Parents knew or should have known of Student’s underlying problems. District argues that it appropriately dealt with Student’s problems by referring her to the SST process, which identified reasonable factors to explain Student’s delayed learning; that no disability was suspected at that time; and that the SST’s recommendation for Student to repeat kindergarten was reasonable in the circumstances. 12. The evidence established that for many years the District has had written policies and procedures for the identification and evaluation of general education pupils with academic difficulties and those with potential learning problems through referral to the SST process. One of the purposes of the SST process is to identify those pupils with academic difficulties who should be referred to special education on the basis of a suspected disability. Under these policies, general education teachers are supposed to refer all pupils who experience academic difficulties to the SST coordinator at the school site, unless there is already a written request for a special education referral. General education teachers are uniquely situated in the classrooms to observe warning signs about the academic and functional progress of a pupil. If a teacher suspects a problem related to academic performance or functioning, the teacher is to use modifications in the classroom and determine their effectiveness, and to refer the pupil to a SST meeting. 13. The SST team generally evaluates the pupil’s strengths and needs, and develops an SST plan during the meeting. The plan is to be kept in place for four to six weeks, and then re-evaluated in a follow-up SST meeting. If a parent requests a referral for special education during an SST meeting, the SST will refer the pupil for assessment. If the plan otherwise does not result in sufficient progress by the follow up meeting, the SST members should refer the pupil for an assessment for eligibility under a Section 504 Plan,6 or under the IDEA for a special education assessment. In the alternative, they can choose to revise the pupil’s SST plan, and follow-up again. 14. During Student’s first year in kindergarten at Belle Haven Community School in the District (Belle Haven), she presented as a sweet, shy, compliant, cooperative pupil with no prior educational experience. Student was some months younger than the average five year old kindergarten pupil. Her general education kindergarten teacher, Ms. Conley,7 noted Student’s poor performance during the first semester of the 2005-2006 school year. Student received the lowest of four grades, which was a “one” for “below standard,” in all areas of the language arts and math standards, and a “two” for “approaching standard” in all other areas, including oral expression. She also scored a rating of an “N” for “needs improvement” in areas related to completing class and home work and working independently. Student was rated an “O” for “outstanding” relative to all areas of her social skills. Ms. Conley noted on the report card that Student was “far behind and has trouble answering correctly on tests,” and that she liked to play. 15. The evidence established that Ms. Conley followed the District’s SST and child find procedures with regard to Student. In early January 2006, based on Student’s poor academic performance during the first semester, Ms. Conley referred Student for an SST meeting to evaluate her problems. Ms. Conley’s SST referral request listed the following problems: Student’s right “shoulder problem” made it difficult for her to write; she had not gone to preschool; she had recall problems; she could not remember letter or number names; and she did not pass the reading and math tests. There was no mention of verbal difficulty. Ms. Conley completed the SST modification checklist, in which she indicated that she had tried numerous strategies and modifications in the general education classroom prior to the SST referral. 7 None of the documents in evidence reveals the first names of several of Student’s teachers, including Ms. Conley. 18. The team agreed to take specified actions, and to conduct a follow-up meeting on March 6, 2009. The actions agreed upon included the following: District would provide Student a one-to-one tutor (a sixth to eighth grade pupil), and small group instruction; Brother and the family would provide Student with practice on her number and letter recognition at home; Brother would make a medical appointment for Student regarding her arm; and, following the medical appointment, the District would refer Student for an occupational therapy assessment. District and Brother thereafter fulfilled these agreements. 8 Based on Father’s authorization, any information acquired by Brother about Student’s academic and functional performance in the school setting is imputed to Parents. 9 Under Education Code Section 48011, a child who has completed a year of kindergarten is required to be promoted to first grade, unless the parent or guardian and the district agree that the child may continue in kindergarten not more than one additional school year. 19. On March 6, 2006, the SST reconvened, and Brother’s wife accompanied him to the meeting with Ms. Conley and Ms. White. The SST members discussed that Student had not made much progress on her letters or numbers in school or at home. In addition, Student had about 27 days of absence throughout the year that had some negative impact on her performance. Student’s third quarter grades had actually improved somewhat, but she was still performing below kindergarten standards. Brother reported to the team that Parents agreed that Student should be retained in kindergarten for another year. 21. As stated above, Student contends that, if the District had conducted an OT assessment as part of its child find obligations in the spring of 2006, it would have discovered that Student had a speech and language impairment or a specific learning disability qualifying her for special education. However, Student failed to produce any evidence to support this position. There is no evidence to establish that an OT assessor, concerned with Student’s gross or fine motor issues related to her right arm, the only suspected deficit at that time, would reasonably have found grounds to suspect or recommend assessment for communication or learning deficits. Student argues that the District would have been required by law to assess in “all suspected areas of disability,” and that it therefore would have been required to conduct a comprehensive assessment of Student across all domains, not just an OT assessment. This argument misstates the law. As set forth in Legal Conclusion 11, the law required the District to assess “in all areas related to the suspected disability.” The only suspected disability known and discussed during the 2006 SST meetings was Student’s gross and fine motor problems related to her arm. No one on the team discussed the possibility that Student’s delayed academic progress in reading and math raised a suspicion of a special education disability. Therefore, this contention is without merit. 22. Ms. White was persuasive that Student’s below average performance in kindergarten was not unusual. Retention in kindergarten was not uncommon and reasonable factors explained Student’s delays. The evidence established that the SST members identified objectively reasonable factors that contributed to Student’s performance: She was young for kindergarten; she was shy and did not speak much; because she had not attended preschool or had much exposure to learning in the home setting, she was spending kindergarten learning basic learning readiness skills; and she was acquiring better English language skills. Ms. White indicated to Brother that she understood Student’s first language was Tongan and Brother did not disagree with her. 10 Student’s right arm condition and the OT assessment are not at issue in this proceeding. 23. Student contends that her ability to speak in any language was so limited during the 2005-2006 school year that the District should have conducted an ELL or bilingual assessment to determine her levels of language performance in Tongan and English. Student’s assertion that she did not speak much at all in kindergarten is not credible for a number of reasons, and is not supported by the evidence. First, when questioned closely, Father retracted his testimony that Student first “spoke” when she was four years old. He explained that he meant that was when she began using multiple words to communicate what she wanted. Rather, he recalled that Student had begun to use words when she was one or two years old but could not be more specific. 25. Third, Ms. Conley was in a unique position as Student’s teacher to notice any suspected language or communication disability. She taught Student daily and reported observing her speak and play with her classmates. Ms. Conley did not note any failure to speak or inability to communicate on Student’s quarterly report cards or to the SST team as an area of concern. As Student’s teacher, Ms. Conley was the person who referred Student to the SST process; she was concerned about Student’s lack of progress in reading and math, and had every incentive to have added a lack of verbal communication to the list of concerns for the SST to discuss and consider. The fact that Ms. Conley did not do so indicates that there was no noticeable concern. District staff consistently reported Student as “shy” during her first year of schooling. 26. On September 26, 2005, the District administered the California English Language Development Test (CELDT). Student received a scaled score of 401, placing her close to the top of the “beginning” English proficiency level range (220 to 409). The CELDT defined an “English learner” as someone with a proficiency level below the “early advanced” level. Student’s score was consistent with Ms. Conley’s report for the first quarter of kindergarten. District staff made a notation in Student’s records that she “tested B [beginning] due to shyness but she is full English.” Student did not establish that obtaining the rating of a beginner on the CELDT was a “red flag” that should have triggered an investigation into her language skills. District had no objective information to suspect at that time that the score did not reflect a language difference but a language delay based on disability. 11 In addition, Student told District’s speech and language pathologist on February 4, 2009, that both Tongan and English were spoken in the home. 27. Brother and Father testified persuasively that, by the spring of 2006, they accepted that Student was going to repeat kindergarten and were not otherwise concerned that anything was seriously wrong with Student, such as a “disability.” They knew she was slow verbally and often used gestures to communicate her intent. They relied on the judgment of the District’s professionals and believed that having Student repeat kindergarten would help her catch up to perform at grade level. 28. Based on the foregoing findings, during the 2005-2006 school year, Parents did not have knowledge of any material facts underlying Student’s claim of eligibility for special education. Therefore, Parents are not precluded by the statute of limitations from litigating the issue of District’s responsibilities during that school year. 29. Student also contends, based on the private CHC assessment conducted in July 2008, which has identified a mixed expressive and receptive language impairment, that District staff should have been able to determine that Student had a disability “within five minutes of talking to her” during the 2005-2006 school year. This contention is rejected as speculative for the reason that a school district’s actions under the IEP process for special education, including child find, should be evaluated in light of the information available at the time the actions were taken, and should not to be evaluated in hindsight. Student’s own expert, Lilach Levinkron, a speech and language pathologist with CHC and a member of Student’s private 2008 assessment team, was persuasive that the speech and language skills taught in kindergarten tend to be simple and concrete, such as sequential counting, and that as pupils get older, higher or more sophisticated language skills are called upon which may then reveal a language deficit that was unnoticed earlier. Thus, Ms. Levinkron was persuasive that younger children with appropriate pragmatic or social skills could be perceived as average. As found above, in the 2005-2006 school year, Student presented outstanding pragmatics and social skills, and Student’ s learning delays were reasonably attributed to other factors. In addition, Kara Guzman, one of Student’s tutors during the 2007-2008 school year in first grade, two years later, credibly established that she oversaw Student’s after-school tutoring for three months in 2007 before realizing that Student’s language and learning delays were suspect for disability. The evidence supports a finding that, without the application of hindsight, based on the information that it had at the time, the District had no reasonable basis to suspect that Student should have been identified for a special education assessment during the 2005-2006 year in kindergarten in any area other than motor deficits due to her right arm. 30. Based on the foregoing, the District took appropriate actions during the 20052006 school year to call an SST meeting and monitor Student’s progress with a follow-up meeting, which led to Parents’ voluntary decision to have Student repeat kindergarten. The District recommended and supported this decision and followed its child find procedures. In Student’s second year of kindergarten, the SST would continue to monitor her progress. These actions were reasonable and based on adequate information. Repeating kindergarten was a sensible use of the general education resources in light of the factors known at that time. Accordingly, the District did not deny Student a FAPE for her first year of kindergarten by failing to identify and assess her for eligibility for special education. 31. Student contends that the District failed to fulfill its child find obligations during Student’s 2006-2007 school year repeating kindergarten, and should have suspected that Student had a disability, because she was unable to speak at an age appropriate level, did not progress academically, and failed two hearing tests. In addition, Student asserts that Parents did not know of the facts underlying Student’s claim before the beginning of the two year statute of limitations period. 32. District contends that issues pertaining to the 2006-2007 school year are outside the statute of limitations because Parents knew or should have know of Student’s underlying problems predating January 2007. In addition, the District contends that Student made academic and functional progress during this school year and was promoted to first grade. 33. Student’s teacher for her second year of kindergarten in the 2006-2007 school year was Ms. Penniman. The evidence established that Student enjoyed Ms. Penniman and was enthusiastic about the school year. Student attended most school days throughout the year. By the end of the school year, Student received grades of a “three” (and two threepluses) for “meets standard” in virtually every subject area. She received a “four” (“exceeds standard”) in “recognizes the names of letters.” Her lowest grade was a “two-plus” for “approaching standard” in two areas. In the spring of 2007, Ms. Penniman reported that Student was ready for first grade. Student made significant progress both academically and with respect to her study skills during this year. 34. Ms. White was persuasive that most kindergarten pupils who repeat kindergarten for another year progress and successfully catch up to grade level in the second year. Because of the SST meetings the prior year, it was Ms. White’s responsibility as the SST Coordinator to follow-up on Student’s progress during her second year of kindergarten. Ms. White did so conscientiously. She spoke with Ms. Penniman and apprised her of Student’s circumstances. Ms. White also taught kindergarten at Belle Haven that year. Ms. White observed Student about once a week in the classroom or on the playground. Ms. White personally spoke with Student during the year, and noted her improvement in using spoken words in a sentence. During the 2006-2007 school year, Ms. Penniman never asked Ms. White for an SST meeting or voiced any concerns to her about Student’s academic progress or functioning. Ms. White established that Ms. Penniman was a qualified and effective teacher who would have referred Student to the SST process had language or learning concerns arisen. 35. During the 2006-2007 school year, the District arranged hearing tests for Student as part of its standard screening responsibilities. The first test was not completed. District stipulated that Student failed another hearing test in November, and again in December 2006. Student contends that the failed hearing tests should have triggered a referral for a special education assessment. Student did not produce any evidence to support this contention. No one from the Sacramento Hearing Services Center, who administered the tests, testified to explain the test results, the implications of the scores, or what subsequent recommendations were or should have been made. Second, Student does not have a hearing problem and it is not an issue in this case. In January 2009, Student’s hearing was retested and found to be within normal limits. Third, there is no evidence showing that any hearing problem negatively impacted Student’s educational progress. 36. In January or February 2007, Brother spoke with Ms. Penniman regarding Student’s performance for the first semester. By then, Student had received mixed grades of a “three” and a “two” in various subjects Brother testified that he did not think Student was doing that well in the home setting and “began to get worried” about what appeared to him to be a lack of progress. If Brother did not notice as much improvement in Student’s performance at home as was being reported at school, neither Brother nor Parents requested an SST meeting or other assistance. In fact, for the rest of the year, Student met grade level standards in most subjects, liked her teacher, and was successfully promoted to first grade. The family’s level of concern was relatively low, and did not demonstrate their knowledge of material facts, before November 17, 2006, underlying the claim of disability. 37. Student’s claim that the District’s SST interventions failed because she “made no improvement” during her second year of kindergarten is not supported by the evidence. As found above, Student made significant progress in all areas of academic and functional performance. Therefore, Student did not establish that the District had a basis of knowledge, at any time during the 2006-2007 school year, that Student’s academic and functional performance was negatively impacted by a suspected disability that triggered its assessment obligation. Accordingly, the District did not deny Student a FAPE during that school year by failing to identify and assess her for eligibility for special education. 38. Student contends that the District failed to fulfill its child find obligations during Student’s 2007-2008 school year in first grade, and should have suspected that Student had a disability, because Student was unable to speak at an age appropriate level, exhibited stress and had a high number of absences from school, and her academic and functional levels of performance significantly declined. District contends that Student’s lowered quarterly grades did not and should not have given rise to a suspicion of a disability, and that the District had no knowledge or notice of any disability until July 2008. 39. Student’s teacher for first grade at Belle Haven in the 2007-2008 school year was Miriam McLean. By June 2007, Ms. White was reassigned and was no longer the SST coordinator for Student’s first grade year. No SST personnel monitored Student at any time during the school year. Student’s academic performance, as reflected by the quarterly report cards, showed a consistent lowered level of performance, compared to the previous, second year of kindergarten. Student scored in the “two” range of “approaching standard” in virtually every area except “prints legibly” where she still received a “three” for “meets standard.” All areas of Student’s social skills continued to be rated as outstanding. However, she had variable ratings for study skills, including some “needs improvement” areas. 40. By the same token, the first grade academic material had increased in difficulty and pace. For the first three quarters, Ms. McLean noted to Parents on the report card that Student needed to “work faster” and “speak louder.” Ms McLean stated that “She is capable of achieving at a higher level, she needs to put forth more effort and work faster in order to complete her work on time.” By the end of the first quarter of first grade, in November 2007, Brother was concerned that Student’s needs were not being met. When Brother met with Ms. McLean in mid-year, about January 2008, she informed him that Student’s “babiness” needed to stop, including her crying in class. Ms. McLean stated that she would not slow down the class lessons for Student, and urged the family not to baby her. Brother attempted to schedule another meeting with the teacher. He missed the meeting due to work, Ms. McLean thereafter became ill, and the meeting never took place. 41. In addition, Student was absent for about 36 days during first grade, an unusually high number, which also negatively impacted her grades. Father credibly established that, although some of Student’s many absences were for appointments, most of them were because she complained that she had a stomach ache or did not feel well. He understood Student did not like Ms. McLean and Student reported to her family that the teacher yelled at her. Brother corroborated Father’s testimony and indicated that Student became afraid and used excuses to avoid going to school. 42. Kara Guzman worked at East Palo Alto Tennis & Tutoring (EPATT), as one of about 12 paid tutors, overseeing about 150 volunteers. EPATT is a nonprofit organization working with low income and at-risk children and youths from kindergarten through twelfth grade. Brother is a graduate of the EPATT program, and worked there as a volunteer tutor. In the fall of 2007, EPATT accepted Student as a client. Student was paired with a volunteer tutor and received three hours of one-to-one tutoring plus an hour of tennis each week after school. Ms. Guzman oversaw her tutoring and attempted to meet with Ms. McLean to gain routine information about Student’s class work, by leaving voicemail messages and a business card, but did not receive a reply. 44. Based on the foregoing, including Student’s prior academic history and referral to the SST process, the weight of the evidence supports a finding that Ms. McLean should have referred Student to the SST process not later than the end of the first semester of Student’s 2007-2008 school year in first grade. Ms. McLean did not testify. There is no evidence that she attempted any modifications in the general education classroom to address Student’s deficits and below average academic performance. Student only met grade level standards in one subject area: “prints legibly.” There is no evidence of Ms. McLean’s qualifications or whether she had any training or experience in special education disabilities or SST policies and procedures, aside from Ms. Lee’s general testimony that all teachers in the District received SST training. Because Student demonstrated academic difficulties without progress for the entire first semester of first grade, after having repeated kindergarten, the District’s SST policies required Ms. McLean to refer Student to the SST process based on academic difficulties. She failed to do so. In addition to lowered academic grades, Student demonstrated behaviors that were red flags of problems that should have been addressed, including her inability to keep up with the pace of the class, inability to complete her work, crying in class, and extensive absences. Dr. Nancy Sullivan, Student’s private neuropsychologist with CHC, was persuasive that avoidance of school is a common way for a pupil with a disability to communicate stress, due to her inability to keep up in class and to understand the class lessons. 45. Had the District followed the SST process in first grade, with an SST meeting in January 2008, the SST members would have either referred Student for a special education assessment or implemented an SST plan and set another follow-up SST meeting. The evidence established that Ms. Guzman and Parents would have immediately requested a special education referral if the January meeting had been held, and not waited for any further SST modifications in Student’s classroom. As found above, Ms. Guzman was already discussing assessment with the family and the EPATT staff by January 2008. The District should have therefore referred Student for a special education assessment by January 2008, as it knew or should have had reason to suspect a learning disability and that assessment was warranted in the circumstances. 46. Based on the foregoing, the District denied Student a FAPE for the 2007-2008 school year in first grade by failing to identify and timely assess her for eligibility for special education in all areas related to her suspected disabilities. 12 District was not able to identify who gave Student her fourth quarter grades for first grade. Ms. Lee’s guess that it must have been Ms. McLean was speculative and uncorroborated. 47. Procedural errors in the IEP process do not automatically require a finding of a denial of FAPE. A procedural violation does not constitute a denial of FAPE unless the procedural inadequacy (a) impeded the child’s right to a FAPE; (b) significantly impeded the parent’s opportunity to participate in the decision making process regarding the provision of FAPE; or (c) caused a deprivation of educational benefits. 48. Student contends that the District did not timely assess her after Parents’ requests for assessment in May, July, and October 2008. District contends that it first received Parents’ request for assessment in July 2008 but that request was withdrawn in August 2008; and that after the October 2008 agreement to assess, Parents interfered with the assessment process and were responsible for any subsequent delay. 49. State and federal law require a district to develop a proposed assessment plan within 15 calendar days from the date of receipt of the referral for assessment, not counting calendar days between the pupil’s regular school sessions or terms or days of school vacation in excess of five school days, unless otherwise agreed upon. In the case of school vacation, the 15-day timeline recommences on the date that the regular schooldays reconvene. The parent then has not less than 15 days from the receipt of the proposed assessment plan to arrive at a decision. An IEP meeting to review the assessment must occur within 60 days of the receipt of parental consent for the assessment, excluding calendar days between terms or days of school vacation in excess of five school days. A failure to timely assess a pupil may constitute a procedural violation. 50. On May 20, 2008, Ms. Guzman contacted the District on behalf of Student and her family. She met with Gerri Morales Fippin, Assistant Principal at Belle Haven, and briefly discussed the family’s concerns regarding Student. Ms. Guzman then emailed Ms. Fippin the following day, indicated that she was communicating on behalf of the family, and stated: “[Parents] and I are very concerned about her progress in school, and we would like to get her tested for a possible learning disability.” In addition, Ms. Guzman’s message stated that Student also had “great difficulty with her speech and language.” On the same date, May 21, 2008, Ms. Guzman sent a similar email to Ms. McLean; and on May 22, 2008, Ms. Guzman sent a similar email to Ms. Lee, the District’s Director of Special Education. 51. District forwarded Ms. Guzman’s messages to school psychologist Rafael Banaag, who responded promptly, asking for clarification. Ms. Guzman responded by return email and described Student’s language and comprehension problems in more detail, and the family’s concern that she was advancing toward second grade without an IEP. She also indicated that the family had met with CHC, who recommended neuropsychiatric, speech and language, and academic assessments. Ms. Fippin asked to see the private assessments and indicated that it was unlikely Ms. McLean would return before the end of the school year. On May 25, 2008, Ms. Guzman informed the District that CHC would not be able to conduct assessments until mid-July, and asked what the likelihood was of having the District conduct the tests before the end of the school year, and requested a meeting. 52. By virtue of the foregoing correspondence, the District was notified that Parents requested an assessment. Using the later date when Ms. Lee, the Special Education Director, received the email request, District had 15 calendar days after May 22, 2008, or, until June 6, 2008, at the latest, to develop an assessment plan and send it to the family. Ms. Lee established that the school year ended on June 12, 2008. By that date, the District had not developed or delivered an assessment plan to Parents. Ms. Lee testified that she had no record of the May 2008 email correspondence and request for assessment. However, she then recalled that she had received the request, and that Ms. Fippin and Mr. Banaag assured her they would follow up on Parents’ request in the fall. District therefore assumed it was legally excused from developing an assessment plan until the fall due to the summer vacation. However, the District miscalculated the timeline as the assessment plan should have been delivered to Parents by June 6, before school ended, and the time was not tolled. 53. District contends that the May 2008 emails from Ms. Guzman did not constitute a parental request for a special education referral and assessment because she was not a member of Student’s family. However, at no time during the May 2008 series of emails between District staff and Ms. Guzman, did anyone question Ms. Guzman’s right to advocate as a friend of the family for Student’s assessment, or request her to send them written authorization from Parents. In addition, Brother, who was known to the District and whose last name is the family name, was expressly copied by Ms. Guzman in most of her emails, indicating to the District staff that he was included in their correspondence. Moreover, District had permitted Brother to attend Student’s SST meetings in 2006 without written authorization from Parents. Therefore, this argument is not persuasive. 54. Accordingly, the District committed a procedural violation by not delivering an assessment plan to Parents on or before June 6, 2008. If the District had delivered the assessment plan to Parents by June 6, 2008, and thereafter received parental consent, the 60day period within which the District would have had to complete the assessment and hold an IEP meeting would not have commenced by operation of law until after the summer vacation. School started the last week of August 2008. Therefore, District should have completed Student’s assessments and held an IEP meeting by the end of October 2008. District’s failure to do so constituted a procedural violation. 55. As determined below, the assessments were not completed until early February 2009. By reason of the foregoing, the above procedural violation impeded Student’s right to a FAPE because she was found to have a speech and language impairment requiring special education services; and it significantly impeded Parents’ rights to participate in the IEP process due to a delay of almost four months in completing the assessment process. The violation therefore denied Student a FAPE. 56. CHC conducted a private assessment of Student in the summer of 2008. On July 22, 2008, Father, Brother, and Ms. Guzman jointly signed a written letter addressed and mailed to Ms. Lee, requesting an IEP meeting with the District to discuss the CHC assessment. The letter also stated that the family understood that the District would probably want to conduct its own assessments, and expected to receive an assessment plan from the District within 15 days thereafter. Parents did not expressly repeat their previous request for an assessment, nor did they expressly withdraw it. However, by asking the District to send an assessment plan within 15 days, Parents were implicitly asking again for an assessment. Ms. Lee established by her testimony that the District treated this letter as a parental request for assessment. By law, the 15-day period within which the District would have had to develop and deliver an assessment plan to Parents did not commence until the start of the new school year. 57. By letter dated August 25, 2008, to the Superintendent of the District, Student’s attorney, Ms. Shum, provided written notice of Parents’ intent to unilaterally place Student at Arbor Bay School, and to seek reimbursement for that placement from the District. Ms. Shum’s letter informed the District that CHC had diagnosed Student with low cognitive functioning and a severe language disorder. Further, Ms. Shum stated that Student had been accepted at Arbor Bay School on August 23, 2008. Parents unilaterally enrolled Student at Arbor Bay School, and she began attending that school on August 25, 2008, the same date as Parent’s notice of private placement. Ms. Shum indicated that she hoped the District, Arbor Bay School, and Parents would be able to work collaboratively to qualify Student for special education and to agree to an appropriate placement. The letter did not refer to Parents’ July 22, 2008 letter, request an IEP meeting, or repeat the parental requests for an assessment from the District, nor did it withdraw them. Pursuant to the August 2008 notice to the District, Parents withdrew Student from enrollment in the District. 58. Ms. Lee testified that she viewed Parents’ August 2008 notice of withdrawal and private placement as a cancellation of Parents’ requests made in their July 2008 letter. However, Ms. Lee understood that Student was requesting the District to qualify her for special education services in order to obtain reimbursement and a special education placement at Arbor Bay School under an IEP from the District. On September 17, 2008, Ms. Lee replied in writing to Ms. Shum and indicated that the District was not obligated to pay for the private placement, but was willing to conduct its own assessment and consider the CHC report. Ms. Lee’s letter made no mention of the pending assessment plan due to Parents at the start of the school year by reason of either the May or July 2008 requests for assessment, or Parents’ July request for IEP meeting. 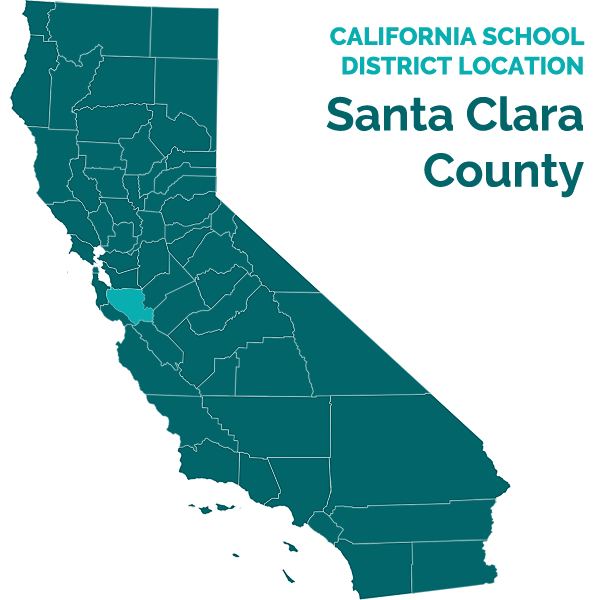 Parents resided within the educational boundaries of the District, and the removal of Student from the public school did not automatically relieve the District of the obligation to assess Student or make an offer of placement as a matter of law. Ms. Lee’s unstated conclusion that Parents were withdrawing their previous requests was therefore not reasonable. 59. On October 2, 2008, Student’s co-counsel, Ms. Jansma, replied by email to Ms. Lee, accepted the District’s offer to conduct an assessment of Student, and directed the District to send an assessment plan to Parents. District therefore had 15 calendar days following that date within which to deliver an assessment plan to Student. By email on October 9, 2008, Ms. Lee informed Ms. Jansma that the District’s psychologist would get in touch with Parents regarding the assessment plan. Ms. Lee did not prepare a comprehensive assessment plan on behalf of the District but delegated the responsibility to the school psychologists. By the legal deadline of October 17, 2008, no assessment plan had been delivered to Parents. 60. Dr. Robert James, a school psychologist employed by the District, was assigned to assess Student and prepare the assessment plan. Dr. James is a licensed educational psychologist and a certified school psychologist. Dr. James testified that his practice for developing an assessment plan was to meet with the family and obtain their input to guide his selection of assessment tools. Student’s attorneys refused to allow Dr. James to meet with the family and insisted that he submit the assessment plan for their review. Dr. James did not establish any necessity to meet with the family before he sent them an assessment plan. The law does not contemplate a meeting and required an assessment plan to be promptly delivered within 15 days after October 2, 2008. On November 9, 2008, Dr. James believes he faxed a proposed assessment plan to Ms. Shum’s office; however, it was not received, and he re-faxed it on November 18, 2008. 61. Between October 28, and December 1, 2008, there was a series of telephone calls and emails between Ms. Shum’s office and Dr. James regarding his requests to meet with the family, and the terms of the assessment plan and several amended plans. Dr. James proposed to assess Student in the areas of intellectual development and social/emotional/ adaptive behavior, which were the psychoeducational areas within his expertise. Parents signed the assessment plan on December 1, 2008. 62. During the above negotiations, Student’s attorneys insisted that Dr. James specify what assessment tools he planned to use as part of the assessment plan. The law does not require the school district’s assessor to commit to specific assessment tools as part of the assessment plan. Dr. James would have had time, as provided by law, to use his discretion in the selection of specific assessment tools following parental consent to the general plan. However, Student’s insistence on amending the plan contributed to only a few weeks of the total delay (November 18 to December 1, 2008). Dr. James conducted the psychoeducational assessment on December 11, 2008. 63. District’s November 2008 assessment plan was not a comprehensive assessment plan as it did not propose to assess Student’s academic or communication development. On January 14, 2009, Ms. Lee sent a proposed assessment plan for a speech and language assessment to Ms. Shum. Ms. Lee apologized for the “confusion.” District’s January 2009 assessment plan proposed to assess Student in the area of language/speech communication development. Parents timely signed the assessment plan on January 29, 2009. District’s speech and language pathologist, AnnaLiza Calvillo, thereafter immediately conducted the assessment on February 4, 2009. The next day, Mr. Whitlock, attorney for the District, began asking Ms. Shum when they could schedule an IEP meeting. Ms. Shum declined on behalf of the family to schedule an IEP meeting to consider Student’s assessments pending the outcome of this proceeding. 64. Based on the foregoing, the District should have submitted an assessment plan by October 17, 2008. Allowing time for consent, the statutory 60-day timeline within which to complete assessments and hold an IEP meeting should have begun by early November 2008. The District’s winter vacation, which was for several weeks from late December to early January, tolled a portion of the timeline. Accordingly, based on the October 2, 2008 request for assessment, the District should have completed the assessments and held an IEP meeting by mid-January 2009 at the latest. Completion of the assessments by the first week in February 2009 thus resulted in a delay of three to four weeks. Based on that delay, the District committed another procedural violation that impeded Student’s right to a FAPE, and denied her a FAPE on that basis. This procedural violation did not significantly impede Parents’ rights to participate in the IEP process because the District offered to hold an IEP meeting and Parents refused to attend an IEP meeting. 65. As determined above, the District failed to timely deliver an assessment plan to Parents for both psychoeducational and speech and language assessments in June and October 2008. District’s June and October 2008 procedural violations were remedied in part when the District tendered assessment plans to Student on November 18, 2008, and January 14, 2009. However, since the District should have completed assessments and held an IEP meeting by October 2008, pursuant to Parents’ May 2008 request for assessment, the delay in completion of assessments until February 2009 denied Student a FAPE. 66. Student contends that, for the 2005-2006, 2006-2007, and 2007-2008 school years, she has qualified for special education services with a speech and language impairment based on a severe expressive and receptive language disorder. District contends that she did not qualify for special education under this category until July 2008 after the end of the 2007-2008 school year. 67. A pupil may be eligible for special education services on the basis of a speech and language impairment if the child has an expressive or receptive language disorder, scoring at least 1.5 standard deviations below the mean, or below the seventh percentile for his or her chronological age or developmental level, on two or more standardized tests, in one or more of the following areas of language development: morphology, syntax, semantics, or pragmatics.13 In addition, the pupil must show a need for special education that cannot be met in the regular classroom. 68. The evidence is uncontroverted that Student has a speech and language impairment meeting the above criteria. Student’s experts, Dr. Sullivan and Ms. Levinkron from CHC, and the District’s expert, Ms. Calvillo, agree on the general nature of Student’s expressive and receptive language disorder. Student was seven years and a half years old at the time of the CHC assessment in July 2008, and was over eight years old at the time of the District assessment in February 2009. Both CHC and the District conducted the assessments in the English language, and relied on Ms. Shum’s and Dr. James’ representations that Student did not speak Tongan. 69. CHC conducted a neuropsychological, speech and language, and academic assessment of Student, and issued a multidisciplinary diagnostic report in July 2008. The team included Dr. Sullivan, a neuropsychologist, Ms. Levinkron, a speech and language pathologist, and Corinne Callan, an educational specialist. They reviewed records provided by Parents, interviewed Student and Parents, and assessed Student. 70. Ms. Levinkron has been a speech and language pathologist with CHC since she obtained a Master’s degree in communicative disorders in 2005. She has several prior years of experience as a speech and language clinician and intern. Ms. Levinkron administered a variety of assessment tools to assess Student’s receptive language skills. On the Peabody Picture Vocabulary Test – Fourth Edition, Student received a standard score of 78, within the borderline range for receptive single-word vocabulary. On the Test for Auditory Comprehension of Language – Third Edition, Student received a standard score of a 70, more than 1.5 standard deviations below the mean, and in the second percentile for auditory comprehension of language at the word, phrase and sentence level. For recognition of single word vocabulary, she scored on the cusp of the low average and borderline ranges; and within the borderline range on recognition of grammatical morphemes and prepositional phrases. On the receptive subtests of the Clinical Evaluation of Language Fundamentals – Fourth Edition (CELF-4), Student received a receptive language score of 49, significantly more than 1.5 standard deviations below the mean, and also below the first percentile for her age level, including profound difficulty interpreting, recalling, and executing oral commands of increasing length and complexity; relating objects; grammatical rules, and sentence modifiers and clauses. 13 Standardized scores use 100 as the “mean” or “average” score, and one standard deviation (15 points) below that is considered to be 85. Scores between 85 and 115 are in the average range. The requisite score of at least 1.5 deviations below the mean would result in 22.5 point deviation, or a score at or below 77.5. In terms of percentile ratings on these tests, at or below the seventh percentile of the population is in the moderate deficit range; and at or below the third percentile is in the severe deficit range. 71. Ms. Levinkron also administered a variety of assessment tools to assess Student’s expressive language skills, including an expressive language sample. On the Expressive One Word Picture Vocabulary Test, Student received a standard score of 61, significantly more than 1.5 standard deviations below the mean, and also below the first percentile for expressive single word vocabulary. On the CELF-4 expressive subtests, Student obtained a score of 49, significantly more than 1.5 standard deviations and below the first percentile for her age, including difficulty with grammatical rules, recalling and reproducing sentences, and understanding directions. The language sample revealed that Student is at the three-year-old level for expressive communication at the conversation level. 72. Ms. Levinkron established that Student’s nonverbal pragmatic language skills were appropriate, including eye contact, posture, and facial expression. However, Student did not often initiate or terminate social interactions appropriately. In the area of articulation, Ms. Levinkron found that Student had a small number of articulation errors that were mostly developmentally appropriate for her age level. 73. Dr. Sullivan and Ms. Levinkron established through their testimony that, as of their July 2008 assessments and observations, Student demonstrated a significant mixed receptive and expressive language disorder that meets the eligibility criteria for special education. In their view, Student’s language impairment was severe and impacted the domains of cognition, executive functioning, and applied academics. 74. Ms. Calvillo, the District’s expert at hearing, is a licensed speech and language pathologist with ALC Speech Pathology Services, which contracts with the District to provide speech and language assessments and services. She obtained a Master’s degree in 1994, has over 15 years of experience, and specializes in multi-cultural services for ELLs. Her assessment of Student on February 4, 2009, included a review of the CHC assessment, observations of Student at Arbor Bay School, and administration of various standardized assessment tools. She also reviewed vision and hearing tests conducted by the District in January 2009, which showed Student’s vision and hearing to be within normal limits.14 On the CELF-4, Student’s receptive language standard score was 49, below the first percentile, consistent with the CHC score on this subtest. Her expressive language standard score was 45, also below the first percentile. These scores were significantly more than 1.5 standard deviations below the mean, and in the severe range. On the Receptive One-Word Picture Vocabulary Test, Student received a score of 68, in the second percentile. On the Expressive Vocabulary Test, she received a score of 73, in the fourth percentile. The scores on both of these tests were more than 1.5 standard deviations below the mean, and also below the seventh percentile. 75. Ms. Calvillo established through her testimony that, as of her February 2009 assessment, Student qualifies under the special education language impairment criteria with a moderate to severe receptive language disorder and moderate to severe expressive language disorder. While Ms. Calvillo characterized the expressive language disorder as “mild to severe,” she based the “mild” characterization on one isolated score that is disregarded. In comparing the range of deficits found by CHC in July 2008, CHC acknowledged that Ms. Calvillo’s assessment in February 2009, was more recent and probably reflected Student’s progress at Arbor Bay School since August 2008. Thus, while the language impairment is no longer “severe,” it is still moderate to severe in both receptive and expressive domains. 14 Student had functional hearing in her right ear and normal hearing in her left ear. 76. In addition to finding eligibility for special education under the speech and language impairment category, the second required element for eligibility is a finding that, because of the qualifying disability, the pupil’s needs cannot be met in the general education classroom. As determined below, both Student and the District agree that Student requires special education and related services in order to address her unique needs related to her communication disorder. 77. Student has been receiving special education and speech and language therapy services at Arbor Bay School since August 2008, including a “language infused” curriculum in a special education class with other pupils with speech and language impairments, and a small teacher to pupil ratio, and 30 minutes of push-in small group speech therapy each week. Student’s speech and language therapists at Arbor Bay School established that she is making progress but needs further services in order to remediate her disability. Student’s experts, Dr. Sullivan and Ms. Levinkron, who observed Student at Arbor Bay School in the spring of 2009, do not believe Student is ready for a general education classroom at this time, even with special education supports. 78. Ms. Lee, District’s expert with many years of experience in special day classes, inclusion support, severe handicaps, and special education placement, observed Student at Arbor Bay School and reviewed all of the assessments and prior school records. Ms. Lee was persuasive that, regardless whether Student were now placed in a general education class in the District for second grade, or in a public special day class with other children with disabilities, she would need speech and language therapy services in order to receive a FAPE.15 Therefore, for purposes of finding eligibility, the second criterion is met. 79. The weight of the evidence established that, due to the severity of Student’s disability, she became eligible for special education services during the late winter of the 2007-2008 school year. Her academic performance during first grade regressed from the successful 2006-2007 school year in kindergarten, and, as set forth in Factual Findings 38 through 46 above, multiple red flags indicated that a suspected learning or communication problem was significantly impeding her access to educational progress. The evidence did not establish that her disability should have been identified, assessed, or qualified her for special education in prior years. 15 Since the District and Parents have not held an IEP meeting, the District has not developed an offer of FAPE based on consideration of all assessment data. The appropriateness of a substantive FAPE offer is not at issue in this proceeding. 80. Based on the forgoing, as of January 2008, Student was, and is eligible for special education and related services under the eligibility category of a speech and language impairment due to a receptive and expressive language disorder, which could not be addressed in the general education classroom without special education and related services. 81. Student contends that she was and is eligible for special education, during all years at issue in this case, under the category of a specific learning disability because she has a disorder in one or more of the basic psychological processes involved in understanding or using both spoken and written language. Student argues that she is not required to demonstrate a severe discrepancy between intellectual ability and achievement to have a specific learning disability. District contends that the evidence does not establish that Student has a specific learning disability. 82. A pupil is eligible for special education under the category of a “specific learning disability” when: (a) the pupil has a disorder in one or more of the basic psychological processes involved in understanding or using language, spoken or written, which may manifest itself in an impaired ability to speak, listen, think, write, spell or do mathematical calculations; and (b) based on a comparison of “a systematic assessment of intellectual functioning” and “standardized achievement test,” the pupil has a severe discrepancy between intellectual ability and achievement. Severe discrepancy is measured by converting the cognitive ability and achievement scores on standardized tests into common standard scores, and computing a discrepancy of at least 1.5 standard deviations using a formula. The severe discrepancy found by calculation must be corroborated by other assessment data. If standardized tests do not demonstrate a severe discrepancy, the IEP team may nevertheless document the finding of a severe discrepancy in a written report containing specified, detailed information. In addition, the pupil must show a need for special education that cannot be met in the regular classroom. 83. Student’s argument is unpersuasive for several reasons. First, as found below, neither Student’s independent assessor, Dr. Sullivan, nor the District’s psychologist, Dr. James, testified that Student had a severe discrepancy between ability and achievement. Secondly, the assessment data itself does not support a finding that Student demonstrated the elements of a specific learning disability. Moreover, the evidence established that Student was performing at the level of her abilities. 84. Specifically, Student’s contention is in direct contradiction to the evidence presented by Dr. Sullivan, her own expert witness. Dr. Sullivan, a neuropsychiatrist with CHC, obtained her Ph.D. in clinical psychology in 1995, and a Master’s degree in applied child psychology in 1975. She has over 30 years of experience, coordinated the CHC multidisciplinary team that assessed Student in July 2008, and conducted the neuropsychological assessment. Dr. Sullivan was persuasive that the CHC assessment data did not assess for, or support a finding of a specific learning disability. Dr. Sullivan credibly testified that, at most, the data showed some indication that Student might be at risk for the development of a specific learning disability in the future, as the academic demands in school increase. 85. In July 2008, Dr. Sullivan administered the Kaufman Assessment Battery for Children – Second Edition (K-ABC-II), and found that Student’s overall cognitive functioning was in the borderline range of abilities. Student obtained an overall intelligence quotient (IQ) score of 70 in the borderline range in the second percentile, and an overall nonverbal IQ index score of 76, in the borderline range in the fifth percentile. CHC found that Student’s visual processing speed on the Woodcock Johnson III (WJ-III) was in the average range. Her auditory and verbal memory scores were inconsistent. Student’s attention and executive functioning revealed difficulties with cognitive flexibility, working memory, and sequencing. 86. According to CHC’s academic assessment, Student’s broad reading score on the WJ-III was an 88, in the low average range, and she scored in the average range on the sight-word reading and decoding subtests. Reading fluency and reading comprehension were in the low average range at a grade equivalent of 1.3. Her spelling score of 91 was at the lower end of the average range, and the writing fluency subtest score of 94 was in the average range, while writing samples scored an 88. In math, Student obtained an overall score of 78, in the borderline range. Thus, comparing Student’s nonverbal index IQ score of 76, to her academic results, there was no significant discrepancy between her IQ and achievement, let alone a discrepancy amounting to 1.5 standard deviations from the mean. The CHC results suggested that Student was performing above her abilities in some areas. 87. District’s school psychologist, Dr. James, obtained a Master’s degree in psychology, and a Ph.D. in Adult Education with a minor in Special Education in 1984. He has extensive experience as a school psychologist in five states, and conducts 80 to 150 assessments a year. Dr. James reviewed the CHC assessment, observed Student in the classroom at Arbor Bay School on December 11, 2008, interviewed her teacher, reviewed the records, and interviewed and used a variety of assessment tools to assess Student. 88. Dr. James administered the Universal Nonverbal Intelligence Test (UNIT) to supplement the CHC cognitive tests. The UNIT measures general intelligence not influenced by the pupil’s language processing abilities. Student obtained a standardized full scale IQ score of 88, at the high end of the low (or below) average range. Student scored an 85 on the reasoning quotient subtest, but her memory skills appeared average with a score of 94. Dr. James found, on the Test of Auditory-Perceptual Skills – Third Edition (TAPS-3), Student’s scores demonstrated deficient auditory memory performance, and Dr. James was persuasive that Student’s working memory skills were at an emerging stage. Dr. James was also persuasive that Student’s IQ score of 88 at the time of his assessment was reliable because she had demonstrated signs of stress and depression during the CHC assessment in July 2008 that he did not observe in December 2008. Dr. James established that, at the time of his assessment, Student was performing at the level of her abilities. 89. In connection with the confusion accompanying the District’s assessment offers, the District did not conduct an academic assessment of Student. The CHC assessment did not assess for a specific learning disability (or mention it), and Dr. James was not allowed to meet with Parents to discuss their concerns. Thus, since CHC had focused on a speech and language disorder, the District did not assess for a learning disability. Dr. James reported on his psychoeducational assessment results, and did not report, in December 2008, whether Student demonstrated a significant discrepancy between her intellectual ability and her academic performance. 90. Utilizing Dr. James’ scores for Student’s cognitive functioning does not establish a severe discrepancy between her IQ score of 88, as ascertained by him in December 2008, and Student’s academic achievement scores, as ascertained by CHC in July 2008. As found above, Student’s broad reading score was 88, showing no discrepancy. Comparing the IQ score of 88 to the overall math score of 78, also does not establish a severe discrepancy, considering the margin of error. Dr. Sullivan testified that her IQ results were similar to those of Dr. James, given the confidence interval of 5 points in either direction, but was happy to hear of higher IQ results. Dr. James believes his higher IQ results were more reliable. The question as to which IQ score was more accurate need not be decided because, in any event, neither score results in calculations to establish that Student has a specific learning disability. The evidence did not establish that Student has a specific learning disability. 91. Student contends that the District denied Parents’ meaningful participation in the educational decision making process because the District did not notify Parents of their “procedural and substantive special education rights” in May or July of 2008 when Parents requested assessment and an IEP meeting.16 District contends that Student did not produce any evidence on this issue. 92. Parental participation in the IEP process is of paramount importance under the IDEA. A school district is required to give parents a copy of their rights and procedural safeguards at specified times, including upon initial referral or parental request for assessment. The assessment plan must be accompanied by a notice of the parent’s rights and a written explanation of the procedural safeguards under IDEA and California law. If a child is not referred for assessment, a school district has no duty to give the parents a notice of procedural safeguards. 16 Student does not argue that the District failed to deliver a notice of rights and procedural safeguards in connection with the October 2008 – January 2009 assessment plans. 93. As set forth in Factual Findings 50 through 55, Parents, through Brother and Ms. Guzman, requested an assessment for special education, based on the possibility of both a communication disorder and a learning disorder, on May 21 and 22, 2008. This request for assessment triggered the District’s duty to deliver both an assessment plan and a notice of rights and procedural safeguards to Parents as a matter of law. The evidence is uncontroverted that the District did not prepare or deliver an assessment plan to Parents because it believed that the time for delivery was tolled until the fall. Moreover, there is no evidence that the District delivered a notice of rights and procedural safeguards to Parents. 94. As set forth in Factual Findings 56, by letter dated July 22, 2008, Parents requested an IEP meeting to discuss the CHC assessment. Parents implicitly requested an assessment plan within 15 days thereafter, and did not withdraw their previous request for an assessment. District therefore had a continuing duty to deliver a notice to Parents of their special education rights and procedural safeguards at that time. 95. The weight of the evidence establishes that, in connection with Parents’ May and July 2008 requests for assessment, the District failed to deliver a notice of special education rights and procedural safeguards at any time between May and October 2008. This omission constituted a procedural violation that significantly impeded Parents’ opportunity to participate in the IEP decision making process because they were deprived of vital information about their rights and available procedural safeguards. Advisement of rights for parents of children with suspected disabilities is a procedural cornerstone of the IDEA. Multiple staff were involved in these violations, and the staff did not recognize that violations of the law had occurred with respect to the timing of assessment plans and delivery of due process notice of rights and safeguards required by law. Based on the foregoing, the District’s failure to deliver to Parents a notice of special education rights and procedural safeguards at any time between May and September 2008 denied Student a FAPE. 96. Student contends that the District failed to provide Parents with the opportunity to participate in meetings “with respect to the identification, evaluation, and educational placement of the child.” District argues that Parents were invited to meetings but declined to attend, and refused to attend meetings during the assessment process. 97. As set forth in Factual Findings 14 through 19, Parents were notified of the SST meetings in January and March 2006. Parents were invited to come to the meetings but declined to do so. Instead, they sent Brother to the meetings, who represented the family and acted in their stead. Parents’ rights under the IDEA, if any, were not impeded and Brother fully participated in both meetings. 98. As set forth in Factual Findings 50 through 55, on May 25, 2008, Ms. Guzman asked the District what the likelihood was of having the District assess Student before the end of the 2007-2008 school year, and asked for an immediate meeting. There is no evidence that a meeting was scheduled. However, the law did not require the District to schedule a meeting in response to a parental request for assessment; rather, it required prompt development of an assessment for delivery to Parents. Therefore, Student did not establish a violation based on this ground. 99. As set forth in Factual Findings 58 through 62, Dr. James requested a meeting with Parents prior to conducting the District’s December 2008 psychoeducational assessment, but Parents refused to meet with him. In addition, beginning on February 5, 2009, following the District’s speech and language assessment, the District requested to hold an IEP meeting as required by law, in order to review and consider all assessment information and make an offer of FAPE for Student. Again, Parents refused to attend an IEP meeting, and refused to participate in the IEP process in February 2009. Parents acted in good faith reliance on the advice of their attorneys, who were preparing for hearing in this proceeding, which was then scheduled for March 2009. However, Parents may not refuse to participate in the IEP process and thereby establish a violation. Accordingly, the evidence does not substantiate Student’s claim that Parents were deprived of meaningful participation in meetings regarding Student’s assessments or eligibility, and there was no denial of FAPE on this basis. 100. Student contends that, based on a claimed denial of FAPE for three years beginning in 2006, she is entitled to compensatory education, as follows: (a) reimbursement for Parents’ costs of tuition to place her at Arbor Bay School for the 2008-2009 school year; (b) prospective placement at Arbor Bay School for the 2009-2010 school year; (c) as an alternative to (b) above, prospective placement in a “language-based special day class” within the District that would be comparable to that at Arbor Bay School; and (d) related services in the form of 60 minutes per week of individual speech and language therapy, plus 60 minutes per week of small group speech and language therapy. 101. When a school district fails to provide a FAPE to a pupil with a disability, the pupil is entitled to relief that is “appropriate” in light of the purposes of the IDEA. Compensatory education is a form of equitable relief that may be granted for the denial of appropriate special education services to help overcome lost educational opportunity. Compensatory education does not, however, necessarily involve an obligation to provide day-for-day or session-for-session replacement for opportunity or time missed. The purpose of compensatory education is to ensure that the pupil is appropriately educated within the meaning of the IDEA. Where the actions of parents are unreasonable, equitable relief may be reduced or denied. 102. Parents may be entitled to reimbursement for the costs of placement or services they have procured for their child when the school district has failed to provide a FAPE, and the private placement or services were appropriate and replaced services that the district failed to provide. Parents may receive reimbursement if the private placement met the child’s needs and provided the child with educational benefit. However, the parents’ unilateral placement is not required to meet all requirements of the IDEA. The pupil need not have already received special education services in order to be entitled to reimbursement. 103. As set forth in Factual Findings 38 through 46, the District denied Student a FAPE by failing to refer her for a special education assessment by January 2008 at the latest, after she had performed poorly for the first semester of first grade during the 2007-2008 school year at Belle Haven. Given her history, the District should have suspected a disability sufficient to trigger the assessment process. That assessment process would have resulted in the identification of a significant speech and language impairment that all witnesses concur did not appear overnight. Student’s disability manifested itself as the first grade curriculum increased in difficulty. Thus, after the assessment, there would have been an IEP meeting to offer special education services to complete first grade and make an offer for second grade. This process failed Student and she is entitled to compensatory education. 104. As set forth in Factual Findings 50 through 65, the District committed procedural violations that denied Student a FAPE by failing to timely assess her after parental request for assessment on May 21, 2008, and after parental agreement with the District’s offer to assess on October 2, 2008, resulting in another delay of three to four months. As set forth in Factual Findings 66 through 80, the District substantively denied Student a FAPE by failing to make her eligible for special education under the category of a speech and language impairment. Student is therefore entitled to compensatory education. 105. In addition, as set forth in Factual Findings 91 through 95, the District committed a procedural violation that denied Student a FAPE by failing to provide Parents with due process advisement or notice of their rights and procedural safeguards under special education law from the time that Parents requested an assessment in May 2008 and July 2008. This violation also requires an appropriate remedy. 106. The remedies Student has requested exceed those that the District should provide because the District’s FAPE violations began in January 2008, when the District failed to refer her for assessment, and not in 2006. After the first semester in first grade, Student’s decline in progress pointed to a suspected disability. Therefore, the District should provide compensatory education to Student for her struggles during the 2007-2008 school year in first grade, beginning in January 2008, to the time Parents unilaterally placed her at the NPS on August 25, 2008. Student was deprived of special education services to which she was entitled during that time. The ALJ also bears in mind that the combined effect of the above violations, since January 2008, was to significantly delay Student’s assessment, determination of eligibility, and receipt of special education services, to her detriment. Student’s first grade year, after two years of kindergarten, even with private after-school tutoring by EPATT, established regression and lost academic opportunities during a critical time for learning foundational communication and academic skills. 107. District stipulated during the hearing that the services Student has received at Arbor Bay School were appropriate to meet her unique needs under the above applicable law. Accordingly, there is no dispute as to the quality of the educational placement services at the NPS for the 2008-2009 school year. District contends, however, that Student should not be allowed to request reimbursement for the tuition costs at Arbor Bay School since she did not ask for it in her amended complaint. As discussed on the record at various times during the hearing, Student’s proposed resolutions included asking for “three years of education at Arbor Bay School.” The ALJ pointed out that placement at the NPS for the 2008-2009 school year necessarily involves reimbursement, not prospective placement. Since the ALJ is empowered to fashion appropriate equitable relief, the reimbursement claim is allowed to be litigated. 108. District also argues that any reimbursement award must be limited to Parents’ out of pocket expenses. The evidence established that Parents suffered financial hardship, lost their home to foreclosure, and qualified for a “scholarship” from Arbor Bay School that enabled Student to attend for the 2008-2009 school year. Under an agreement between Parents and the Arbor Bay School, the NPS sponsored Student’s attendance at no cost to Parents except for a co-payment amount of $250 per month. Student requests that the District be ordered to reimburse Arbor Bay School for the full amount of the costs of Arbor Bay School to educate Student, at the rate of $185.20 per school day of attendance. Student contends that she and Parents should not be penalized because they could not afford to pay for a private placement. There is no question that, had Parents incurred a liability for repayment of the tuition at Arbor Bay School, the ALJ has the discretion to order reimbursement of the full tuition. However, in this case, Parents did not enter into any contractual agreement obligating them to repay the full tuition costs of Arbor Bay School. This is not a civil proceeding that may award monies, and Arbor Bay School is not a party to this action. Therefore, in the absence of evidence of any other liability, the reimbursement shall be limited to Parents’ out of pocket expenses for their monthly co-payment amount. 109. Based on the foregoing, as compensatory education for the violations found herein, the District shall reimburse Parents for their out-of-pocket costs of Student’s tuition at Arbor Bay School for the 2008-2009 school year in second grade. Parents submitted evidence that, through March 2009, they paid the sum of $1,750 to Arbor Bay School for Student’s tuition, and that they will continue to pay $250 per month through the end of the school year. Accordingly, the District shall reimburse Parents in the sum of $2,500 through June 2009. 110. The evidence does not warrant an order for further compensatory education in the form of a prospective placement at Arbor Bay School or in the District for the 2009-2010 school year. Student’s claim for an additional year of educational placement at the NPS or comparable District class, was based on her claim of FAPE violations going back to 2006, which were not substantiated. 111. Regarding Student’s request for further compensatory education in the form of speech and language services, the evidence established that Arbor Bay School did not include individual speech and language services in their daily tuition rate, but only included language-enriched classroom instruction and push-in classroom speech and language services in the tuition package. The NPS provides individual speech and language services to pupils on a pull-out basis for an extra monthly fee payable by the families. In this case, Parents credibly established that they could not afford to pay for individual speech and language therapy for Student during the 2008-2009 school year, even though they believed she needed to receive individual therapy. 112. District’s speech and language pathologist, Ms. Calvillo, found that without treatment, Student’s prognosis for improvement was judged to be poor, and with treatment, to be good. Ms. Calvillo was persuasive that Student should have been receiving both individual and small group therapy, including 30 minutes of individual therapy once a week at Arbor Bay School. Ms. Calvillo consulted with Student’s speech therapist at Arbor Bay, Alexandra Nikulina, who agreed with her. At hearing, Ms. Nikulina testified that she was not sure how much therapy Student needed because she had not been working with her for very long. At the NPS, Student only received speech therapy in the classroom with about 10 other pupils. In addition, Student’s first speech and language therapist at Arbor Bay, Jaime Lyn Frankos, an experienced speech and language pathologist, testified that Student’s severe language disorder included difficulty understanding what people were saying, even though she appeared to listen and looked like she was understanding. Ms. Frankos was persuasive that 30 minutes of small group therapy once a week was not enough, and that Student should have received another 30 minutes per week of individual speech therapy in order to work more intensely on a one-to-one basis with the therapist. Thus, although Student made progress in her language skills at the NPS, she did not receive individual therapy necessary to address her severe language deficits during the preceding year. 113. Student’s teacher at Arbor Bay School, Emily Kahn, holds a mild-moderate special education credential. All of the pupils in her mixed first and second class had speech and language disorders. The curriculum emphasized a multi-sensory, language-infused environment. As of the date of the hearing, Ms. Kahn established that Student was still not performing at a second grade level in reading comprehension, writing and math. She was able to follow simple one-step directions only with two to three repetitions. Arbor Bay’s report card shows Student has performed well in learning a small portion of the state standards for second grade, but the grades are skewed and not comparable to second grade in the District. Student is now able to speak in a complete sentence. She has difficulties answering “wh” questions (who, what, etc.) of any complexity. 114. Based on the foregoing, the evidence established that, during second grade in the 2008-2009 school year, Student required individual speech and language therapy services in order to compensate for services she had been denied during first grade. District shall therefore provide Student with 30 minutes per school week of individual one-to-one speech and language therapy during the 2009-2010 school year, as further compensatory education for the violations found herein. District may provide these services using a qualified District speech and language therapist employed by the District or an qualified nonpublic agency (NPA). 3. A claim accrues for purposes of the statute of limitations when a parent learns of the injury that is a basis for the action; that is, when the parent knows that the education provided is inadequate. (M.D. v. Southington Bd. Of Ed. (2d Cir. 2003) 334 F.3d 217, 221.) In other words, the statute of limitations begins to run when a party is aware of the facts that would support a legal claim, not when a party learns that it has a legal claim. (See El Pollo Loco, Inc. v. Hashim (9th Cir. 2003) 316 F.3d 1016, 1039.) In Miller v. San Mateo-Foster City Unified School District, supra, 318 F.Supp.2d at p. 860, the court held the cause of action accrued when parents received notice of their procedural rights in connection with a school district’s assessment of their child, even if the assessment’s findings were later found to be incorrect. 17 This calculation of a minimum period of training is based on the fact that the training covers a discrete topic. District may use its discretion whether additional time may be appropriate to adequately address the topics. 18 Effective October 9, 2006, the California Legislature amended the statute to reduce a prior three-year statute of limitations to two years. This amendment applies to all requests for due process filed after that date. Are Parents precluded from litigating matters that occurred prior to November 2006 or January 2007? 4. As set forth in Factual Findings 7 through 46, and Legal Conclusions 2 and 3, the evidence established that Parents did not know and should not reasonably be held to have known any material facts underlying Student’s claims as to a speech and language impairment from August 2005 through November 17, 2006; and from August 2005 through January 23, 2007, regarding Student’s claim as to a specific learning disability. Student was therefore entitled to litigate District’s responsibilities during those time frames. Parents knew or should have known of the underlying facts that would support these legal claims by about November 2007 at the earliest, and by January 2008 at the latest. Student’s grades for the first half of first grade during the 2007-2008 school year signaled a suspected disability, and Ms. Guzman had begun investigating her suspicions of a disability. By January 2008, Brother, and hence, Parents, were informed by Ms. Guzman of a suspected learning disability, and Parents’ rights to request a special education assessment. Since Parents did not learn of the facts underlying Student’s claims until January 2008, they were not precluded from litigating claims beginning with the 2005-2006 school year. Did the District deny Student a FAPE for the 2005-2006, 2006-2007, and 2007-2008 school years by failing to meet its child find obligations to identify and timely assess Student in all areas related to her suspected disabilities? 8. In the present case, as set forth in Factual Finding 63, the District has yet to hold an IEP meeting regarding Student’s eligibility for special education. Nevertheless, the “snapshot rule” set forth above should also apply to the actions and decisions of the District in the performance of its child find obligations. Because it has been established that, as of 2008, Student has a mixed receptive and expressive language disorder of moderate to severe disability, it is tempting to use hindsight to criticize the District for not identifying the disability earlier. However, as set forth in Legal Conclusion 6, the District’s actions should be judged by what the school personnel know or should have known at the time. 9. As set forth in Factual Findings 1 through 37, and Legal Conclusions 2 through 8, establishes that the District did not have a basis of knowledge to suspect that Student should have been assessed for a special education disability at any time during the 2005-2006 and 2006-2007 school years while Student was in kindergarten. Student’s kindergarten teacher properly referred Student to the SST process to evaluate her difficulties, SST meetings were held in 2006 and the school and Parents agreed that Student should continue for another year of kindergarten. Student’s academic and functional performance during her first year in kindergarten did not give rise to a suspicion of disability to trigger the assessment process because the District reasonably identified other contributing factors. Likewise, Student met the District’s expectations in her second year of kindergarten, caught up to grade level, performed successfully in the school setting, and was promoted to first grade. There was no denial of FAPE during those years. 10. However, as set forth in Factual Findings 38 through 46 and 103, and Legal Conclusions 2 through 8, during the 2007-2008 school year in first grade, due to the increased pace and difficulty of the curriculum, and the classroom teacher’s demonstrated failure to again refer Student to the SST process, Student slid behind, performed poorly, and exhibited significant stress and absences. The evidence established that the District should have, and failed to identify Student for a suspected disability by January 2008, after the first semester amply demonstrated problems that should have addressed, and failed to refer her for a special education assessment. Accordingly, the District denied Student a FAPE during the 2007-2008 school year. 13. As set forth in Factual Findings 50 through 65, and 104, and Legal Conclusions 5, 6, 11, and 12, the District committed procedural violations by failing to timely deliver an assessment plan to Parents in June, and again in October 2008. District’s June and October 2008 procedural violations denied Student a FAPE. The violations were remedied in part when the District tendered assessment plans to Student on November 18, 2008, and January 14, 2009. Did the District deny Student a FAPE for the 2005-2006, 2006-2007, and 2007-2008 school years by failing to identify her as eligible for special education and related services under the criteria of a speech and language impairment? 16. As set forth in Factual Findings 66 through 80, and, and Legal Conclusions 14 and 15, the evidence established that Student has a mixed receptive and expressive language disorder of moderate to severe proportions. In addition, it is undisputed that the speech and language impairment requires special education and related services to enable Student to obtain educational benefit. Accordingly, the District denied Student a FAPE during the 2007-2008 school year, by failing to make her eligible for special education under the category of a speech and language impairment. District did not deny Student a FAPE by failing to make her eligible in prior years. Did the District deny Student a FAPE for the 2005-2006, 2006-2007, and 2007-2008 school years by failing to identify Student as eligible for special education and related services under the criteria of a specific learning disability? (a) When standardized tests are considered to be valid for a specific pupil, a severe discrepancy is demonstrated by: first, converting into common standard scores, using a mean of 100 and standard deviation of 15, the achievement test score and the ability test score to be compared; second, computing the difference between these common standard scores; and third, comparing this computed difference to the standard criterion which is the product of 1.5 multiplied by the standard deviation of the distribution of computed differences of pupils taking these achievement and ability tests. A computed difference which equals or exceeds this standard criterion, adjusted by one standard error of measurement, the adjustment not to exceed 4 common standard score points, indicates a severe discrepancy when such discrepancy is corroborated by other assessment data which may include other tests, scales, instruments, observations and work samples, as appropriate. (c) If the standardized tests do not reveal a severe discrepancy as defined in subparagraphs (a) or (b) above, the IEP team may find that a severe discrepancy does exist, provided that the team documents in a written report that the severe discrepancy between ability and achievement exists as a result of a disorder in one or more of the basic psychological processes. The report shall include a statement of the area, the degree, and the basis and method used in determining the discrepancy. The report shall contain information considered by the team which shall include, but not be limited to: (1) data obtained from standardized assessment instruments; (2) information provided by the parent; (3) information provided by the pupil’s present teacher; (4) evidence of the pupil’s performance in the regular and/or special education classroom obtained from observations, work samples, and group test scores; (5) consideration of the pupil’s age, particularly for young children; and (6) any additional relevant information. 20. As set forth in Factual Findings 81 through 90, and Legal Conclusions 17 through 19, the evidence does not establish that Student meets the above criteria for a specific learning disability. Neither Student’s experts nor the District’s school psychologist assessed Student for a specific learning disability. Both experts established that the assessment data did not support finding a severe discrepancy between Student’s intellectual ability and academic achievement under the above criteria. At most, Student’s expert, Dr. Sullivan, established that Student might be at risk of developing a specific learning disability as she gets older. The evidence established that Student was able to achieve academically at a level commensurate with her IQ score in the low average range. Student did not demonstrate a specific learning disability and the District did not deny Student a FAPE for any school year by failing to make her eligible for special education on that basis. Did the District significantly impede Parents’ rights to participate in the IEP decision making process, and thereby deny Student a FAPE for the 2005-2006, 2006-2007, and 20072008 school years, by failing to inform Parents of their procedural rights under federal and state special education law; and/or by failing to provide Parents the opportunity to participate in meetings related to Student’s education? 23. As set forth in Factual Findings 91 through 95, and Legal Conclusions 5, 21, and 22, the District committed a procedural violation when it failed to deliver to Parents a notice of their special education rights and procedural safeguards after Parents requested an assessment in May 2008, and continued to fail to do so until October 2008. This violation significantly impeded Parents’ opportunity to participate in the IEP decision making process because they were deprived of vital information about their rights and available procedural safeguards. This violation therefore denied Student a FAPE in 2008. 24. As set forth in Factual Findings 96 through 99, and Legal Conclusions 5, 21, and 22, the District did not commit a procedural violation at any time from 2006 through the present by denying Parents meaningful participation in meetings related to Student’s education. Accordingly, there is no procedural violation, and no denial of FAPE on that basis. 28. As set forth in Legal Conclusions 10, 13, 16, and 23, the District denied Student a FAPE by failing to locate and identify Student for a suspected disability and to refer her for assessment by January 2008; by failing to timely deliver assessment plans subsequent to parental requests in May and October 2008, and failing to timely assess Student; by failing to make Student eligible for special education under the speech and language impairment criteria; and by failing to timely provide Parents with due process notice of their rights and procedural safeguards under special education law. 29. Based on the FAPE violations found herein, Student is entitled to compensatory education in the form of the out of pocket, co-payment tuition costs incurred by Parents to place Student at Arbor Bay School for the 2008-2009 school year, in the total sum of $2,500. 30. Based on the FAPE violations found herein, Student is also entitled to compensatory education in the form of individual one-to-one speech and language therapy for 30 minutes per school week for the 2009-2010 school year. District may provide these services through a qualified speech and language therapist employed by the District or a qualified NPA speech and language provider. 31. Based on the FAPE violations found herein, the District shall provide not less than two hours of training to all special education staff employed by the District in the areas of timelines for special education assessments, and provision of due process notice of rights and procedural safeguards in connection with assessment referrals. This training shall be completed not later than November 15, 2009. 1. Student is eligible for special education and related services under the category of a speech and language impairment. Student is not eligible for special education under the category of a specific learning disability. Based on Student’s eligibility, the District shall convene an IEP meeting as required by law. 2. As compensatory education for the violations found herein, the District shall reimburse Parents in the total sum of $2,500 for their out-of-pocket tuition costs to place Student at Arbor Bay School for the 2008-2009 school year. District shall pay this sum within 45 days of the date of this Decision. 3. As further compensatory education for the violations found herein, the District shall provide Student with individual one-to-one speech and language therapy for 30 minutes per school week for the 2009-2010 school year. District may provide these services through a qualified speech and language therapist employed by the District or a qualified NPA. These compensatory therapy services shall be in addition to any and all speech and language services offered or provided to enable Student to receive a FAPE for the 2009-2010 school year. 4. As a further equitable remedy for the violations found herein, the District shall provide not less than two hours of training to all special education staff employed by the District in the areas of timelines for special education assessments, and provision of due process notice of rights and procedural safeguards in connection with assessment referrals. This training shall be completed not later than November 15, 2009. Education Code section 56507, subdivision (d), requires that the hearing decision indicate the extent to which each party has prevailed on each issue heard and decided. Student partially prevailed on Issues 1, 2(a), and 3(a). District partially prevailed on Issues 1, 2(a), and 3(a). District prevailed on Issues 2(b) and 3(b).